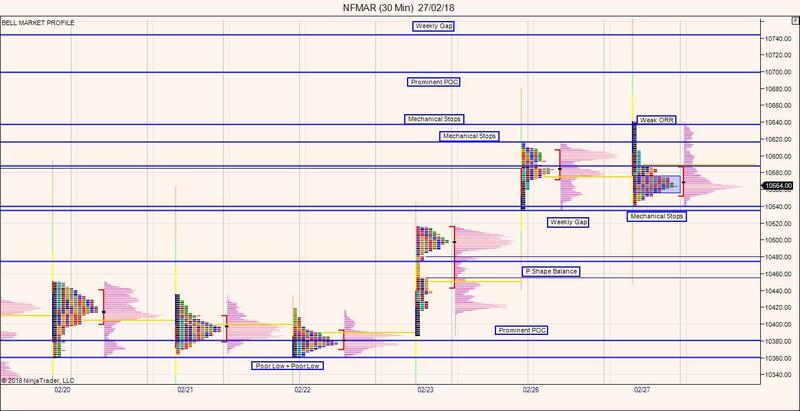 Nifty Futures opened gap up however reverses all its gains in the first hour of trading and ended up with a classical ORR setup with b shape structure (long liquidation). Initial confidence of sellers are dominated in the first half of the session followed by dull boring balancing day in Nifty Futures. Downside pressure is maintained in Bank Nifty index due to resumed PSU Bank selling pressure. Nifty PSU Bank Index is down by 3.49% for the day. Trading Sentiment turned from positive mode to negative mode for the day. In short term 10588 is likely to act like a short term resistance. Price maintaining below 10588 could bring more selling pressure and short term correction towards 10540 and 10343 levels back again. However price accepting above 10588 will bring further short covering towards 10640 and 10700 levels.